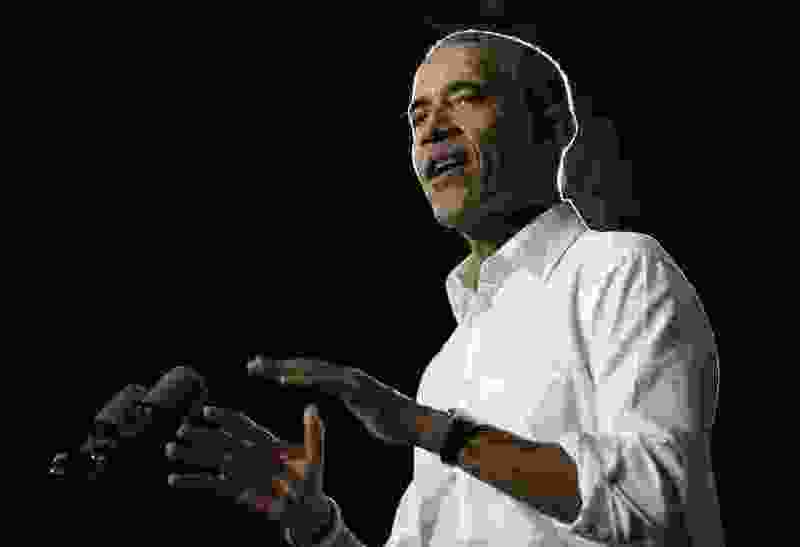 (Lynne Sladky | The Associated Press) Former President Barack Obama speaks during a campaign rally in support of Democratic candidates, Friday, Nov. 2, 2018, in Miami. Barack Obama will be coming to Salt Lake City next March — but it will cost a fair amount to hear him speak. The 44th president of the United States will be a keynote speaker at X4, The Experience MGMT Summit, set for March 5-8, 2019, at the Salt Palace Convention Center in downtown Salt Lake City. The annual event is put on by Qualtrics International Inc., the Provo-based customer-survey software company. Obama isn’t the only big name booked for X4. Qualtrics previously announced that media mogul and former talk-show host Oprah Winfrey would be a keynote speaker. Also, the X4 “Warehouse Party” has booked megaband Imagine Dragons to perform. Obama’s appearance doesn’t come cheaply. The former president’s speaking fee after leaving the White House last year was reported to be in the neighborhood of $400,000. Attending X4 isn’t cheap, either. A conference pass goes for $1,399, though there’s an early-bird special available through Dec. 31 that takes the price down to $999. The 2018 edition of X4 boasted such speakers as “Hamilton” creator Lin-Manuel Miranda, skateboard pioneer Tony Hawk and author Angela Duckworth, as well as a concert by Maroon 5. On Sunday, the German software company SAP announced it will acquire Qualtrics for $8 billion in cash.